We Have provided you information about DNS services for unblock Omegle in our latest page. Now we are going to give information on changing DNS addresses. You will need to change DNS since it will help you to unblock the website. However it’s not going to help you remove ban. So we don’t recommend you to try our steps which we are going to tell you here, if you want to remove the ban. It’s not going to work at all. If your ISP (Internet Service Provider) has blocked the website on your country, our tips are going to work for you. However your ISP has banned the website on IP-based on your country, our tips may not work too. However you can give a try. You will need a trusted and quality DNS server for join to the website because it will also help you to surf on other sites safely. We have recommended Google Public DNS for that. We will take these DNS addresses as example in our guidelines. If you would like to select another server, you can check our list. 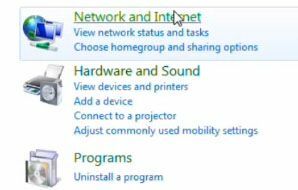 Let’s begin to tell you how to change DNS on your PC. 4-) Select “Change Adepter Settings” from left sidebar of the window. 6-) Select “Internet Protocol Version 4 (TCP/IPv4)” and then click on Properties. You are done! Click “OK” to complete the job. Let’s tell you how to do that Step by Step without pictures. Click start button on your keyboard or click on Windows Start icon on your screen. Click on “Control Panel” button. A new window will appear in your screen. Please look at left sidebar and select “Change Adepter Settings” there. Mark “Use the following DNS server addresses” section. Type 8.8.8.8 – 8.8.4.4 to blanks to change DNS. 2-) Select “Network” from Internet & Wireless menu. 5-) Click on “+” button to add IPv4. Type 8.8.8.8 – 8.8.4.4 for DNS addresses. You are done! You change DNS for Omegle on Mac now. Click on “Network” on Internet and Wireless menu. Click on “DNS” on the menu. Click on “+”. It’s just near of “IPv4 or IPv6 addresses” text. Add 8.8.8.8 – 8.8.4.4 to change DNS. If you have any questions feel free to comment this page.